Welcome to RolexMagazine.com...Home of Jake's Rolex World Magazine..Optimized for iPad and iPhone: BASELWORLD 2019: BATMAN RETURNS!!!!! The history of the Rolex GMT-Master is AMAZING!!! 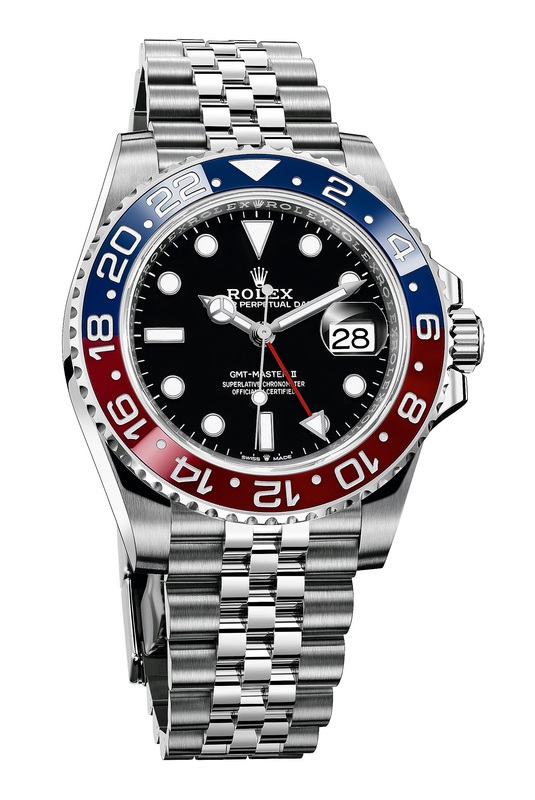 'The GMT' is one of the most popular and iconic professional 'tool-watch' Rolex models made, along with the Rolex Submariner and Rolex Daytona. Late last year there was a false rumor spread that said Rolex was discontinuing the GMT-Master "Batman" AKA "BLNR". 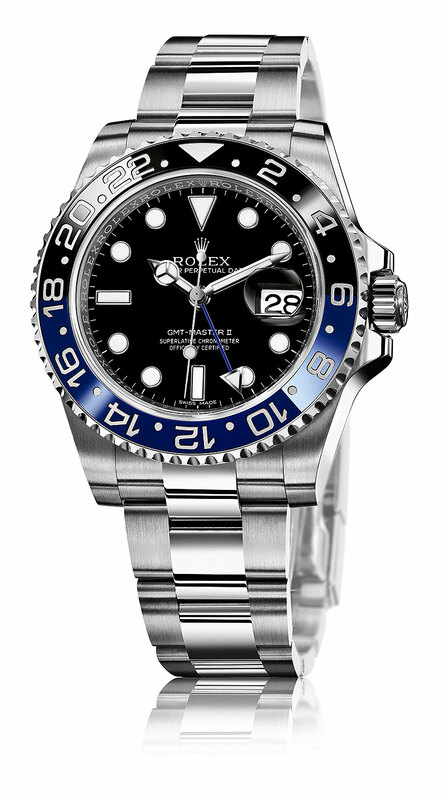 "BLNR" is the nickname for the stainless steel Rolex GMT 'Blue and Nior" bezel, AKA, 'The Batman'. Some refer to this Black and Blue model as the 'Night &amp; Day' GMT-Master. The Batman has been EXTREMELY popular since it was introduced!!! So where did the rumor that said Rolex discontinued the Batman come from? 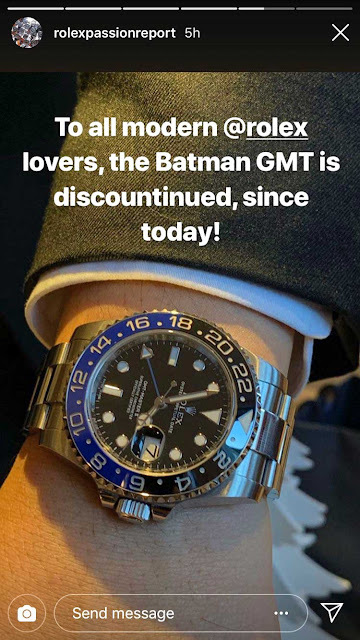 I believe it started with the Instagram post pictured below by "rolexpassionreport" that said: "To all modern @rolex lovers, the Batman GMT is discountinued, since today!" To the best of my knowledge, Rolex Passion Report is written by self-confessed Rolex fanatic Philipp Stahl. So what really happened? I don't know for certain. I think a source told Philip Stahl that Rolex was discontinuing the SKU for the outgoing Batman GMT-Master. 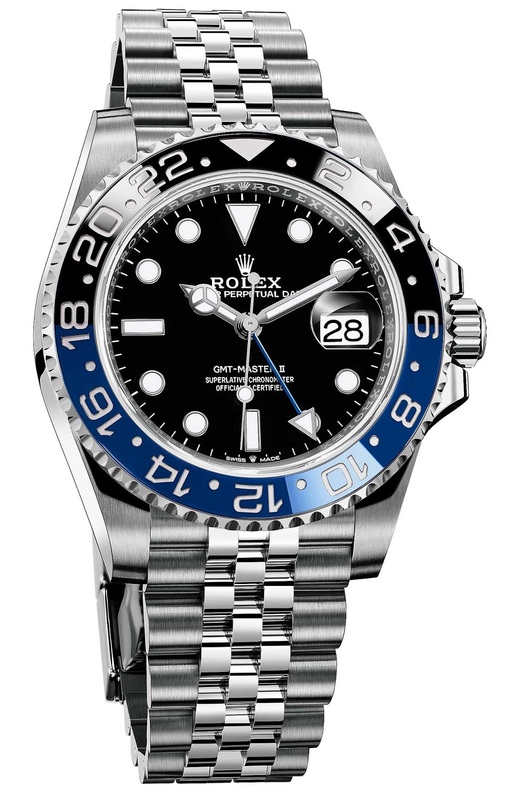 Then he or one of his sources extrapolated and hypothesized Rolex was discontinuing the Black and Blue "Batman" GMT-Master. This was a false assumption. 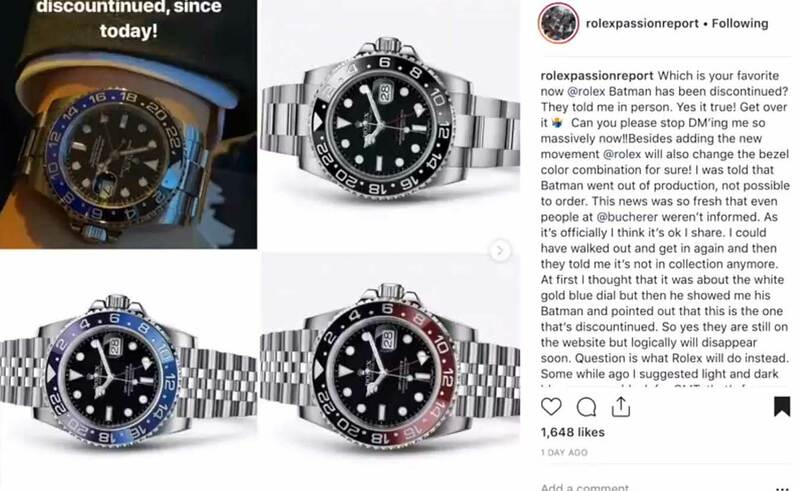 The reality is Rolex was working on an updated SKU with a new movement and switching out the Oyster Bracelet with a Jubilee Bracelet as seen below.